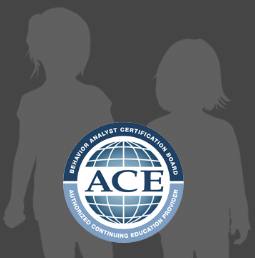 Center for Learning and Autism Support Services, also known as CLASS, is a nationally recognized Applied Behavior Analysis (ABA) provider delivering state-of-the-art ABA services, which are performed within the home, school, and/or clinic setting. We eagerly collaborate with professionals from other disciplines and disseminate data and research in order to ensure best practices and optimal outcomes for each client. We are dedicated to cultivating partnerships with other community providers to ensure continuity of services for their clients. CLASS offers a unique opportunity for individuals to excel in a highly individualized learning environment designed specifically to meet the unique needs of each individual. Our warm and inviting clinics provide a safe and nurturing place for clients to succeed academically, socially, and behaviorally. We offer full-day or half-day programs targeting skills across multiple domains. CLASS is recognized as a Top National Behavioral Service Provider. 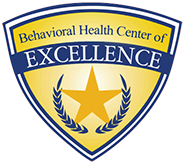 The BHCOE Accreditation celebrates exceptional special needs providers that excel in the areas of clinical quality, staff satisfaction, and qualifications and consumer satisfaction. These areas are measured via a wide-ranging audit, including interviews with agency clinical leadership, a detailed staff qualification review, an anonymous staff satisfaction survey, and an anonymous consumer satisfaction survey. Autism Spectrum Disorder (ASD) and autism are both general terms for a group of complex disorders that are characterized by varying degrees. ASD is a disorder of neurodevelopment that is characterized by impaired social interaction and verbal and non-verbal communication. Individuals diagnosed may present restricted, repetitive, and/or excessive behavior.